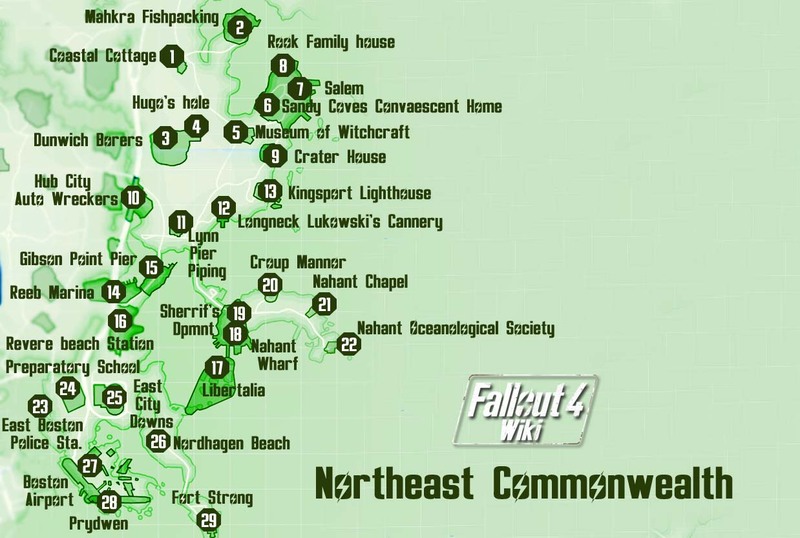 North East Commonwealth is a zone in Fallout 4. "The northern easter area of the map is also Boston's coastline, featuring beaches, fisheries, canneries and the like. The area houses difficult locations with large groups of enemies."